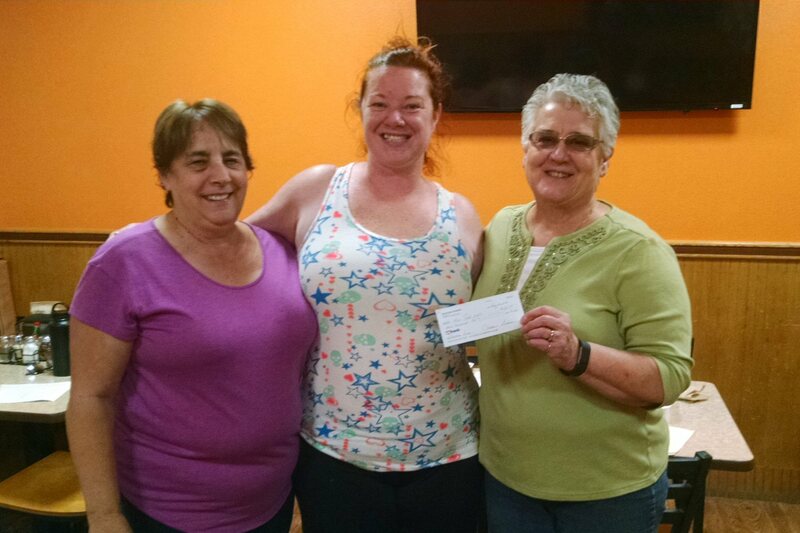 Mountain Cruisers Vice President Sandy McCullar and Secretary Corrine Calhoun presented Emily Deavers, Sergeant of Arms of VFW Post 5689, with a check for $300 to be used for their Santa Claus program. The presentation was made at a Burney Chamber of Commerce Meeting on August 29 at Gepetto’s Pizza. In the past, the post had a Santa Claus each year who gave out stockings and toys to local children. The program was discontinued but this donation will help them to bring Santa back. Each year Mountain Cruisers hosts the car show at Rex Club Days. Proceeds from the show go to support a variety of local charities such as the schools and the library. In addition to this year’s donation to the VFW, Ms. McCullar said that the club had also donated $250 to the Round Mountain Community Center for their Christmas program. Earlier in the summer, the Mountain Cruisers also funded a free night’s swim at the Raymond Berry Community Pool. On August 23, the Mountain Cruisers and Shasta Classics held a joint gathering at the Rancheria RV Park on Highway 89. At that time, the Mountain Cruisers held their annual meeting and elected officers for 2018-2019. The new officers are Michael Calhoun, President; Sandy McCullar, Vice President; Charlene Sickler, Treasurer; Corrine Calhoun, Secretary and Newsletter; and Ed Johnson, Sergeant at Arms. Mr. Calhoun succeeds Ron Conley who served diligently for many years as president. Veterans from the American Legion and Veterans of Foreign Wars gathered at the Burney Cemetery on Bailey Street on Armed Forces Day, Saturday May 19, to hold an “Echo Taps” ceremony and rifle salute as a special tribute to men and women in the U.S. military. Armed Forces Day was instituted on August 21, 1949, by Secretary of Defense Louis Johnson who served under President Harry Truman. Previously there had been separate single day celebrations for each branch of the military. The Truman administration unified all branches of the military under the Department of Defense. Armed Forced Day is celebrated annually on the third Saturday of May. The first official celebration was held on May 20, 1950. B-36 Bombers flew over state capitals, a march was led by more than 10,000 veterans and troops in Washington, D.C., and over 33,000 people participated in a New York City parade. President John F. Kennedy declared Armed Forces Day a national holiday in 1961. Commander Jim Arveson welcomed several dozen people to the ceremony and acted as master of ceremonies. After the Pledge of Allegiance, Elizabeth Luck sang the National Anthem. Public Safety Chaplain Reverend Henry Winkelman led the invocation. Commander Arveson then explained the meaning and history of Armed Services Day and “Taps.” “Taps” is a bugle call played at dusk, during flag ceremonies, and at military funerals. The official military version is played by a single bugle or trumpet. “Echo Taps” is a cascading antiphonal taps played by multiple buglers for special memorial ceremonies. Arveson also read some of the lyrics that have been written to accompany the “Taps” melody. Bugler George Matthews was present to play “Taps” at the end of the program. After his talk, Pastor Winkelman offered a closing prayer. Honor Guard members, Martin McAbee, Steve Powell, Jim Ellis, Jimmy Cusick, Bob Van De Weerd, Herbert McKinney, and Dennis Lopez came to attention and fired a rifle salute. Boy Scout Leaders George Chapman, Cheri Chapman, and James Chapman and Scouts Thomas Chapman and Dedric Ugbinada from Burney Troop 38 also attended and participated in the celebration. Scores of people came to the VFW Auxiliary Post 5689 Indoor Yard Sale at the Veterans Hall in Burney on Saturday December 2. The event was organized by Ms. Dottie Sales. Vendors included yard sale items, baked goods, decorations, and a variety of hand crafted items. Two young girls were also there selling hot chocolate. Donna Scheckla will be an Honored Guest at 2017 Burney Basin Days Parade. 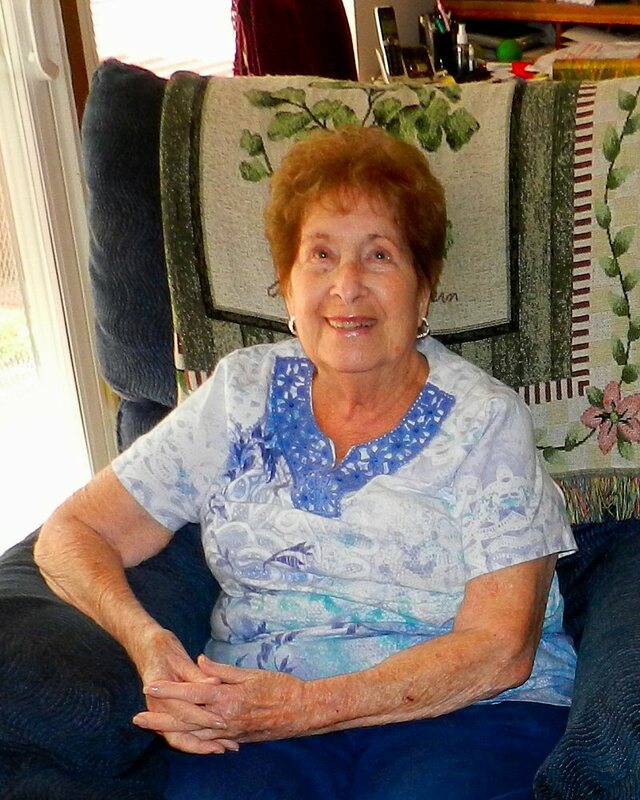 She first came to Burney in 1971 when her husband, Al, moved his trucking business here. She moved here permanently in 1976. Since then Mrs. Scheckla has been a strong supporter of Burney Basin Days and a dedicated volunteer in the community. Since the 1970’s she has volunteered at the Burney Basin Days Parade helping to decorate the judges booth and assisting at the top of the hill. She also has helped serve at the VFW barbecue and worked at the gate collecting donations at the Rotary Fireworks Program. She has been a member of the Soroptomist Club and the VFW Auxiliary Post 5289 since 1974. She has enjoyed helping with the VFW raffle and the ham dinner. For eight years she has served as a member of the Burney Citizens Patrol helping to keep our neighborhoods safe. In addition, she helped Rick Morris to start the Burney Beautification Program and has also sponsored a bowling team for 25 years. Mr. and Mrs. Scheckla had been married for 53 years when her husband died in 2004. They raised four sons. She is blessed with 17 grandchildren and 12 great grandchildren. In spite of some recent difficulties with her hip and knee, her desire to serve the community remains undiminished. “I am 85 years old and just like to stay as active as possible and help wherever I can,” Mrs. Scheckla said cheerfully.